Mix the broccoli and potatoes with the oil and salt, spread onto a baking tray lined with baking paper. Roast for approx. 35 mins. in the centre of an oven preheated to 200°C. Mix the cream cheese, wild garlic, apples and pepper. Season the veal cutlets, top with the Mostbröckli, spread the filling on top, roll up the cutlets and secure each one with a toothpick. 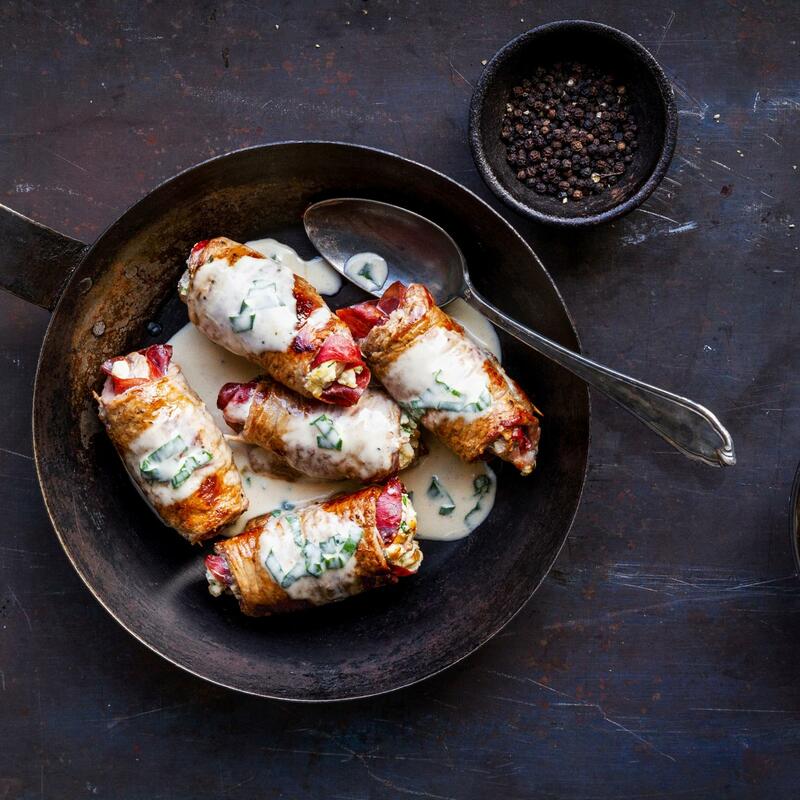 Heat the oil in a frying pan, fry the involtini on all sides for approx. 4 mins. Remove and keep warm. Pour in the cream, stock and maple syrup, reduce for approx. 10 mins. Return the meat to the pan and heat gently. Add the wild garlic. Serve the involtini with the Romanesco broccoli and potatoes.